Rating: 4.4. From 5 votes. Hello! This video tutorial shows how to deal with “Briefly unavailable for scheduled maintenance. 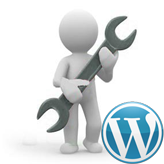 Check back in a minute” error in WordPress. However, you should not panic when you see such message. 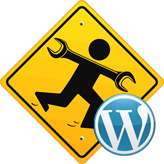 It occurs while you are updating the engine or some plugins in your WordPress dashboard and trying to access your site at the same time. Technically a maintenance page is not an error. 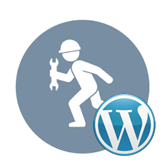 WordPress downloads necessary update files to your server, extracts them, and installs new files during the update process. In most cases the Maintenance notification page disappears in a few seconds once the update process is finished. 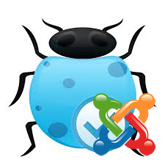 However, it may happen that due to the server slow response or low memory limit the update script may time out or get interrupted. In this case the Maintenance mode will not be taken off your site. Let’s learn how to get rid of it. 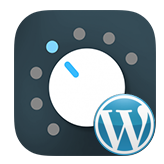 Navigate to your FTP/hosting control panel File Manager and get to the root of your WordPress installation. Simply remove the file from your server. You can see the site is up and running again. Note!!! It may happen that you can not see the .maintenance file on your server. In this case you will need to force showing hidden files in your FTP client or contact your hosting provider so they assist you with this matter. This entry was posted in WordPress Tutorials and tagged base error, briefly, maintenance, scheduled, unavailable, WordPress. Bookmark the permalink. WordPress. How do I prevent my site going live while under development?